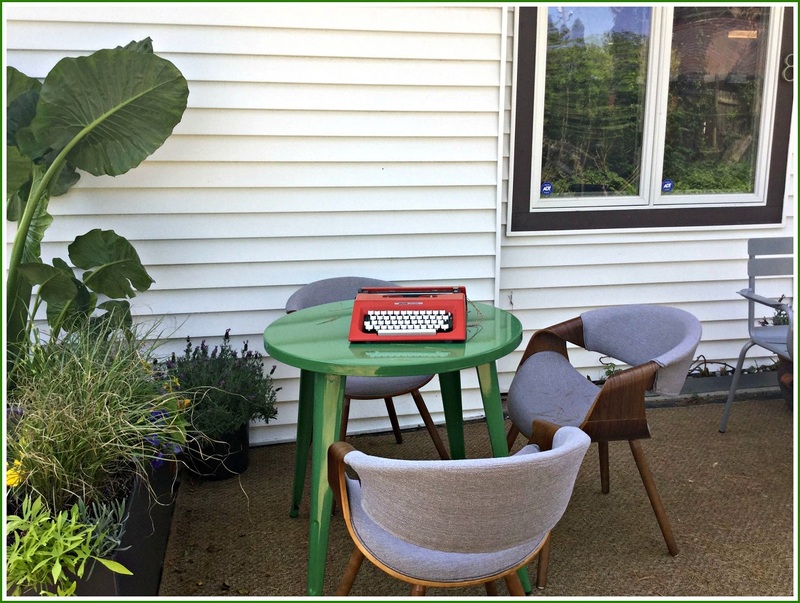 Backspace — the way-cool typewriter place behind Little Barn on Church Street South — has moved outdoors. Anyone can rent space to use a typewriter, play a board game or host an event. There’s also a weekly summer camp where kids can unleash their creativity, or do some work in a chill environment. This entry was posted in Local business, Pic of the Day and tagged Backspace Westport. Bookmark the permalink. Love this! Can’t wait to check it out! I am spending my first two nights here in Robin Tauck’s wonderful properties I have leased for the summer on Compo Cove. It is great to almost be a land owner in Westport.